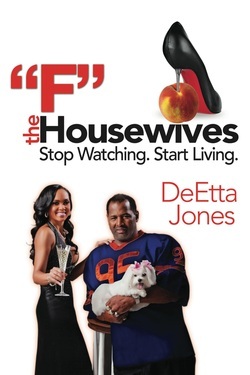 shows that narrowly depict the lives and values of TV "Housewives." But more important, the book uses this pop culture phenomenon as a platform to present a step-by-step guide to rethinking how women define themselves, articulate and pursue their lives’ goals. DeEtta Jones draws upon her nearly twenty years of research and professional practice, sprinkled with valuable life experience, to open readers up to a new way of thinking about themselves—to boldly step out as writers of their own life scripts. Housewives is based on transformative concepts and practices used by leaders of some of the world’s most successful organizations. As Jones translates them for individual consumption, consider this a session with your own leadership coach and ‘keepin’-it-real’ BFF. Those who are tired of sitting on the couch and watching others live their lives, and are ready to bring your own passion into being, order this book now!